The Caucasian viper is famous for its venom, which is more potent than that of most other vipers and has unique medicinal properties, having been used for thousands of years to stop heavy bleeding. The body of the Caucasian viper, which is longer and wider in females, can vary in colour considerably, from yellow to dark red. 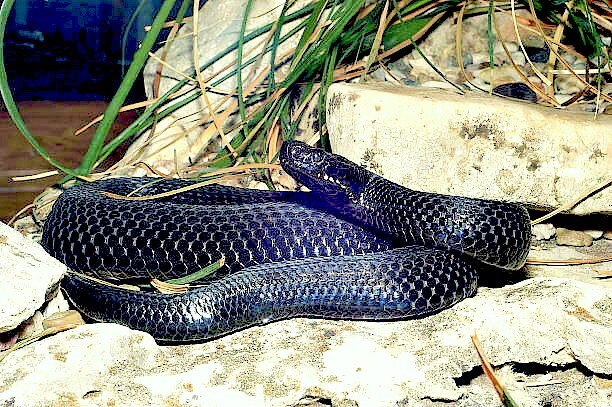 Very occasionally it can be entirely black, although intricately marked individuals are more common; the most distinctive marking is a black or brown stripe, sometimes barred, which runs the entire length of the snake’s back. As a result of accommodating large venom glands, the head is wide, short and spade-shaped, and visually distinct from the neck. The head usually bears a dark V-shaped marking and a stripe runs from the eye to the mouth. The mouth houses hollow fangs which are used to inject the strong venom into prey.